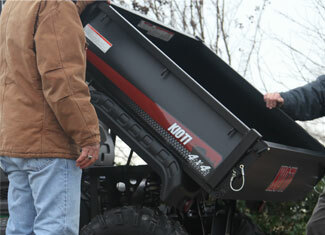 Take your UTV to the next level with KIOTI UTV Accessories. 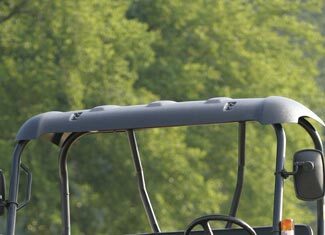 From lights and windshields to soft cabs and field option cabs. 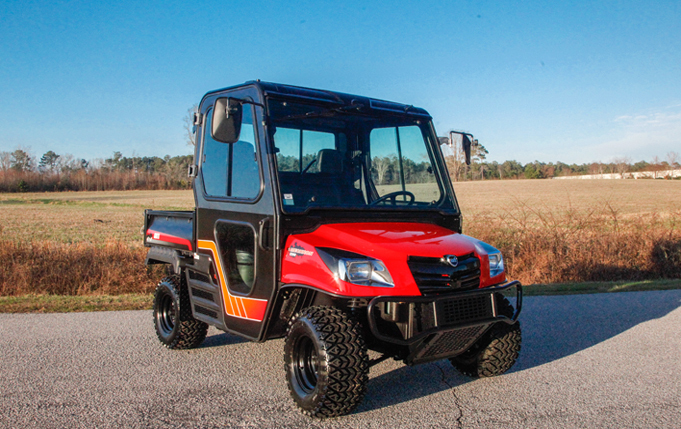 KIOTI offers plenty of ways to enhance the safety, comfort and versatility of your machine. 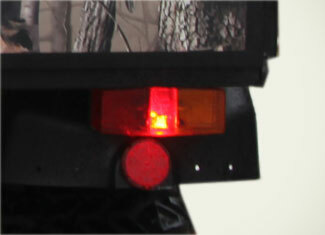 Includes Horn, Turn Signal, Brake Lights and Hazard Lights. 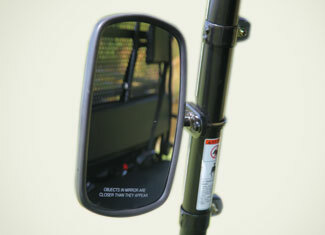 Add 2 adjustable side view mirrors to your MECHRON® for increased visibility and safety. 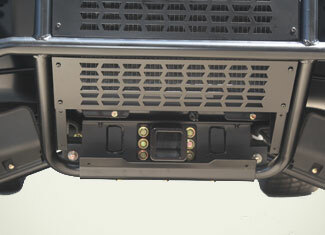 Increase operator visibility with 2 front mounted fog lamps. 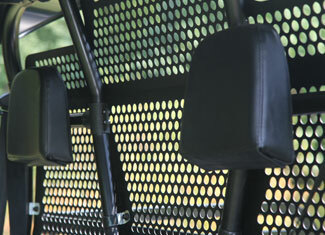 This kit includes 2 padded headrests for increased comfort and safety. 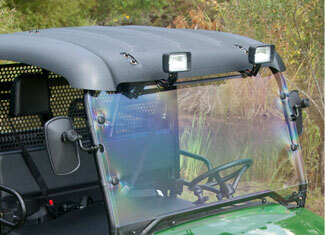 Easily display and change your license plate for your UTV with this kit. 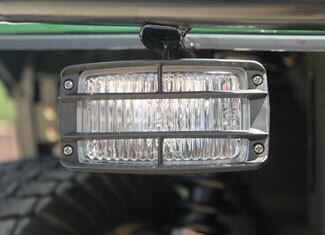 Increase visibility, safety and productivity with these ROPS mounted work lights. Add a buzzer to remind operator when the parking brake is engaged. Add 3,000 lbs. 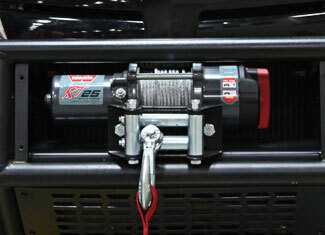 (1,360 kg) of pulling power and 50' of durable wire rope to your MECHRON® with this versatile winch kit. This kit protects you and your passengers from the elements. Add remote hydraulics to your MECHRON with this hydraulic kit. 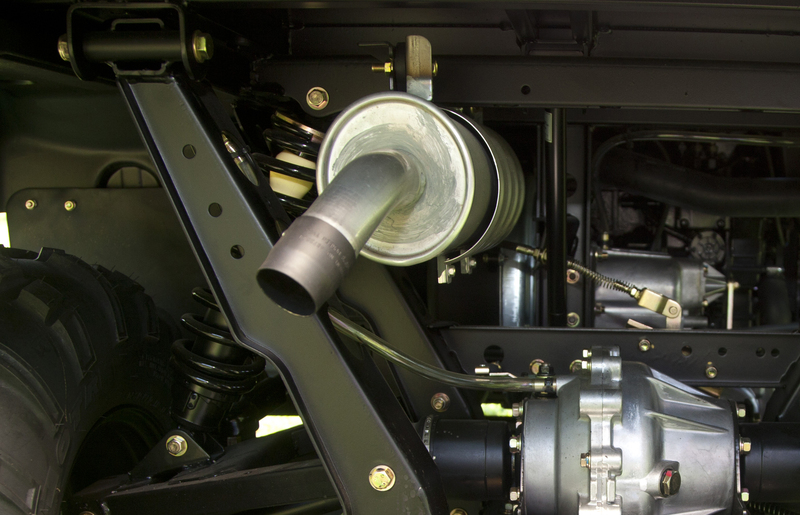 Increase productivity by adding a 2 port hydraulic hose kit to your MECHRON®. 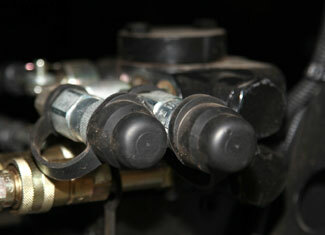 This hand throttle kit allows flexibility of throttle control from standing outside the vehicle. Increase environmental safety by adding the spark arrestor kit. 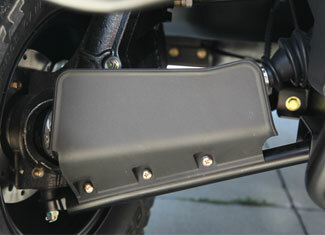 Add additional protection to the undercarriage of your MECHRON® with this skid plate kit. 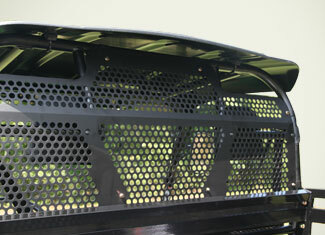 This perforated metal screen adds protection to the operator and passengers from flying debris. 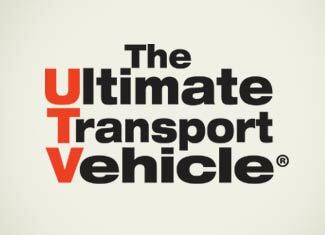 Protect your suspension system from debris with these CV guards. 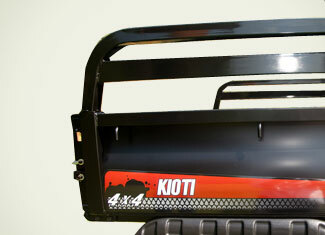 This easy to install and easy to remove KIOTI soft cabin kit protects you and your passengers from the elements. 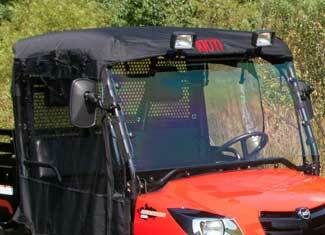 Add a Field Option Cab (MECHRON 2200/2200PS only) to keep you protected from the elements.